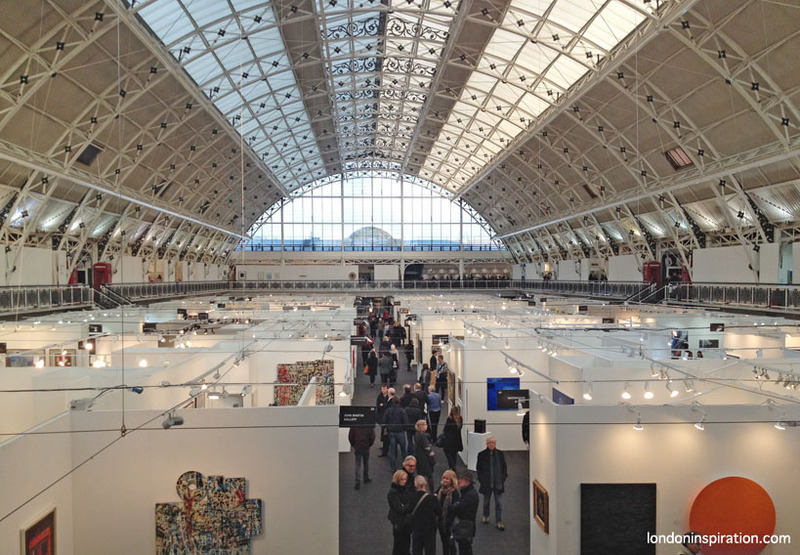 I visited the London Art Fair for the first time, last month. Held in the large, light and airy venue of the Business Design Centre, in Islington, it showcases the work and artists of many galleries, with much of the art on sale (for a range of prices). It is a maze of booths, spaces, corridors and rooms, and definitely something to explore over a course of hours, with stops for coffee and chats. What is sometimes referred to (by me) as Gallery Back (a.k.a. Festival Back) can kick in, without finding somewhere to pause. However, I did discover work that I really liked by two artists: one contemporary, the other no longer alive. Showing work at the Charlie Smith London stand, the ones by Stark that caught my eye were painted on wood panel in rich intense colours. They were very jewel-like, depicting mysterious landscapes populated by people who appear to be beekeepers, and with a nod to the Italian Renaissance. The groups of faceless hood wearing figures were sinister but also calm and monk-like. I don't think this piece was at the fair, but it's very similar to the paintings I saw, and would appear to also be in that series. 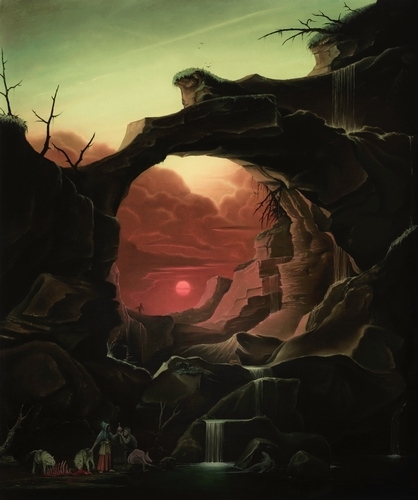 Other work by the artist includes brooding landscapes, with an even closer reference to the European art of the past. I saw a print of one of his drawings on a gallery stand (I'm afraid I can't remember which. Bad blogger, bad blogger). 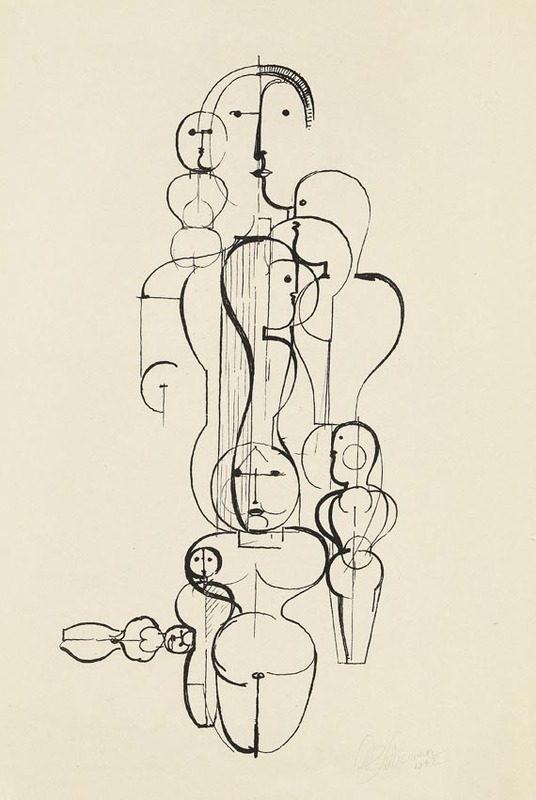 It really intrigued me so I looked him up, and discovered his work with the Bauhaus school and many of his designs for theatre and opera. This piece Konzentrische Gruppe is very like the one I saw at the fair. You can see some of his designs, in their final form, in this beautifully odd film Das Triadische Ballet. I recently booked a ticket to hear the illustrator Laura Carlin give a talk about her work at the new House of Illustration, near King's Cross. 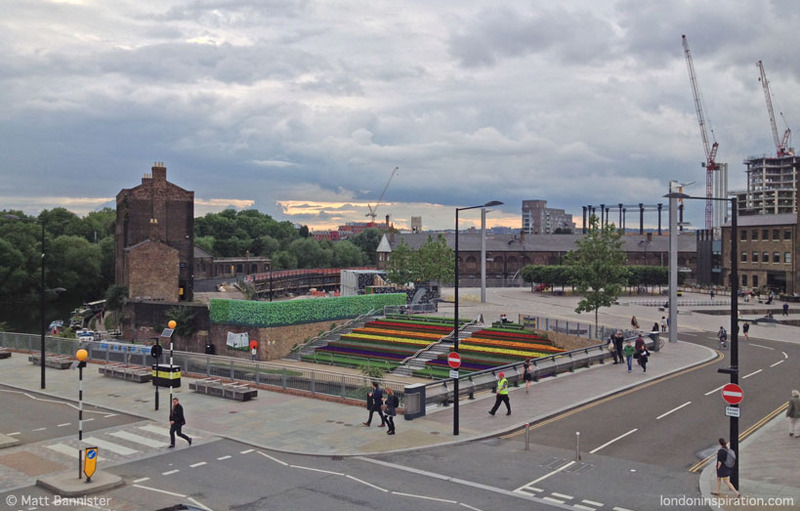 What I didn't realise, until I got there, is how great the redevelopment of the area behind the railway stations is. There's still lots to do, but the post-industrial spruce up that's happened so far is exciting to me. If you've not been there, it feels a bit like bits of the Canary Wharf area but I have a feeling it's going to have a lot more soul and far fewer branches of Pret. It also reminded me of round the Albert Dock in Liverpool. The main piazza, on a sunny day, now feels hot and feisty like a square in Barcelona, not waste ground near some gas tanks. 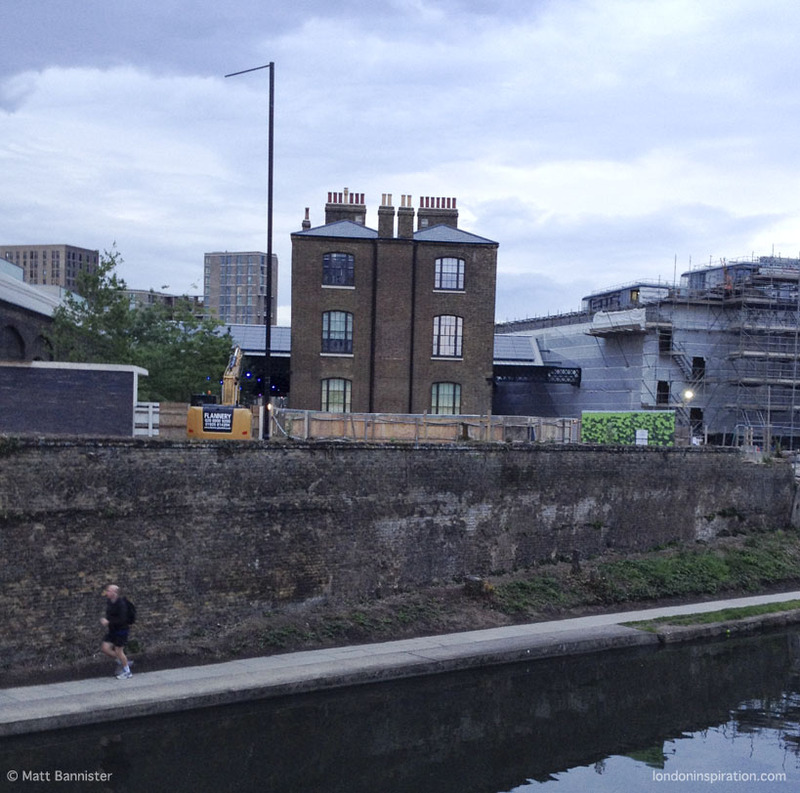 It's great that there is also the Grand Union Canal running round and through the site. When I see these watercourses in London, there is definitely something a bit quaint and old fashioned about them (but that's no bad thing). This rural scene of a father fishing with his kids, near some barges, surely is something you might see in the Midlands countryside - not 10 minutes walk from where you can catch a train to Paris. 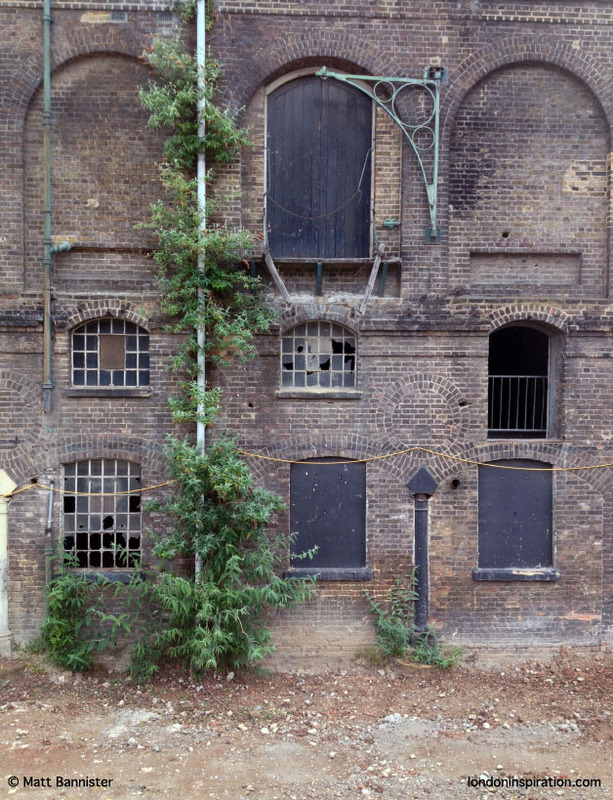 If you get there soon, you can still see bits of the industrial architecture that has yet to be completely refurbished. I imagine most of the area was like this until a few years ago. Shame I missed seeing it, as I love progress but you've got to enjoy a bit of dereliction too, haven't you. The House of Illustration itself seems to be have been carefully ring fenced amongst all the building work. I took this shot as I left the talk later in the evening, and it reminds me of some of the scenes from that great film 'The Ladykillers' which was set in this area during the 1950s, I think. The trailer gives a little flavour of the film, if you don't know it. The House of Illustration had put on a series of talks by current illustrators, and I'd definitely take another trip up in the future to any other events they might arrange. The purpose of the whole trip was to listen to Laura Carlin, an illustrator whose work I'd not seen before, but she/it was great. The talk was very interesting and inspiring. Her style is so free and not over-considered which was very liberating to see. Here is only one example of her style, but I urge you to investigate her output more, through her agents Heart Agency.